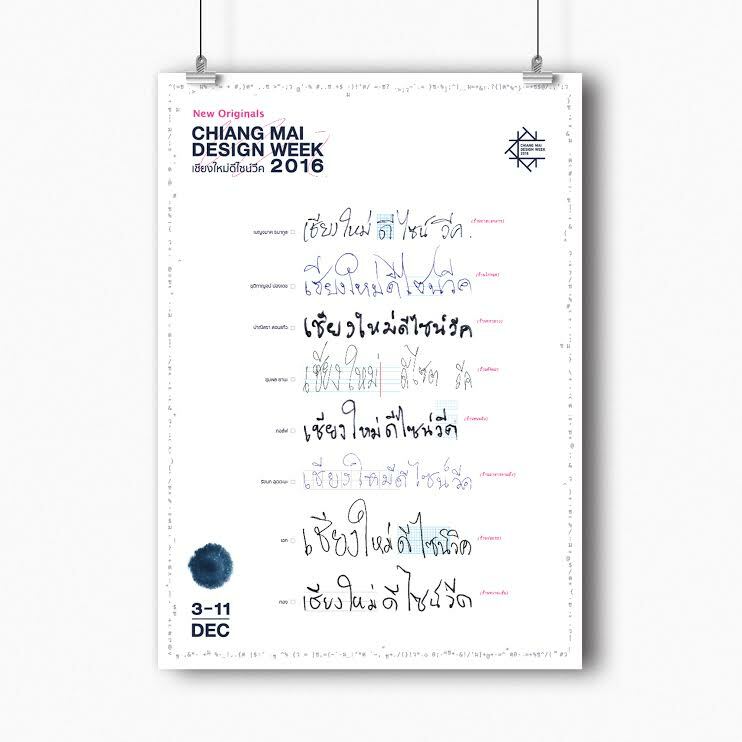 TCDC Chiang Mai asks Chiang Mai designers to join a poster design for Chiang Mai Design Week 2016. They have freedom to design from their points of view (it is not the official poster). The theme is “Originals” then we come up with the question “ What is original?”. We design this poster by making an event title “Chiang Mai Design Week 2016” as a starting point of this project. Then we do some research to hear from general people’s perceptions for this event. We ask them how much they know about it. (Most of them don’t know about it) Then, we ask them to give the title of the event in their handwriting which can be Thai or English and after that we cross it out. A box in front of each handwritten event title will be given to allow a person to tick the one he/she appreciates. We believe that each handwriting is “New Originals” in term of Exhibition Title and this thus is an important key to communicate the event to other people.